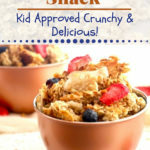 My kids can’t stop eating this Crunchy Granola Snack! I usually like to have healthy snacks around for the kids, because my growing boys never stop eating. I would much rather have them eat something I made, then a packaged product with tons of sugar and additives. One of my favorite seeds is sesame seeds, and I wasn’t sure if the kids were going to like these little gems. Not only are they protein packed, they’re loaded with other great benefits for kids. Well, to my surprise they love this Crunchy Granola Snack with sesame seeds. I’m happy because I can add it to their snack bags or lunchboxes for school, after school snack, or an anytime snack. 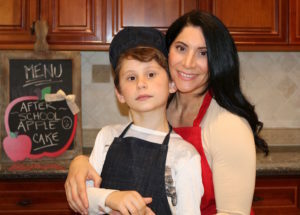 This is a very easy recipe to make, and the kids can be great little helpers. You can also adjust the sweetness by adding a little less honey, or more for your desired taste. I recommend either make 2 batches or split one in 2 halves, and make the adjustments to see which one you and the family enjoys best. 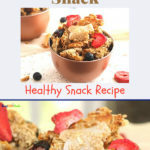 We love the crunchiness of this snack, but the flavor of the toasted ingredients is what really makes this snack so tasty. You can always add some sliced almonds, or some dried fruit pieces. 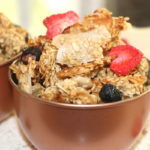 Granola is so great to make with the kids, whether it’s for cereal or snacks because they can be really creative and try out new ingredients. Try making a display of nuts, seeds, and dried fruits to see what their favorites are. Besides delicious snacks like this, the kids always enjoy our specially crafted smoothies with a good variety of fruits, greens, nuts, and seeds. Check them out Smoothies & Shakes. Let us know if you make this, and leave us a comment below. Happy crunching!! This recipe makes about 3 cups, and a snack size portion is about 1/4 cup. Also, I added freeze dried blueberries, and strawberries for some fruity flavor. Preheat oven to 300º F. Line a baking sheet with parchment paper. In a small bowl separate the egg white from the yolk, and beat the egg white for 30 seconds with a fork. 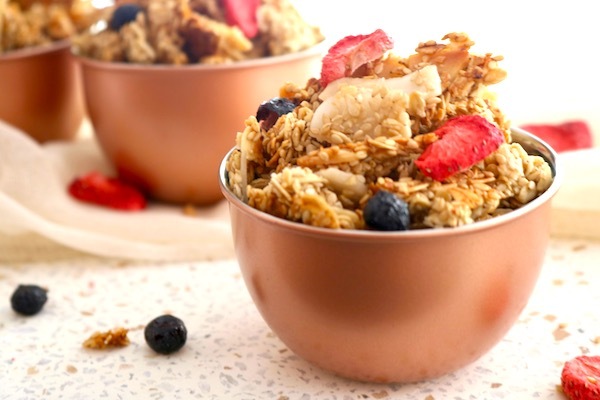 In a large bowl, combine the oats, sesame seeds, and coconut chips, and a dash of salt. 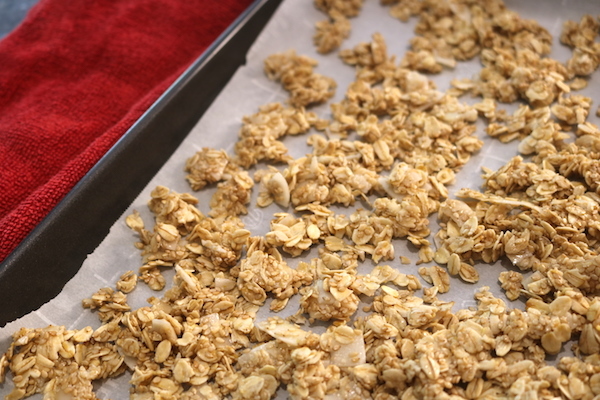 Pour the granola mixture onto the baking sheet. 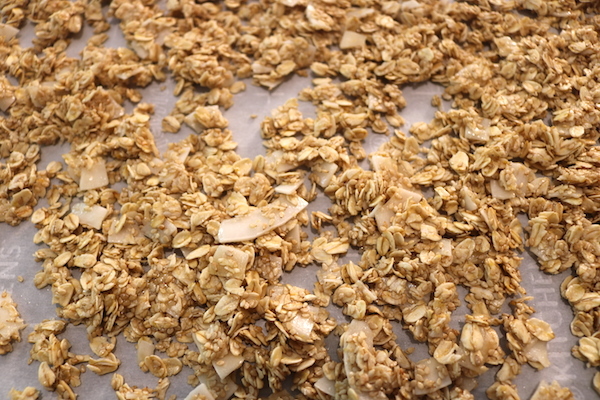 Bake about 5 minutes or when you see the granola browning a bit, then using a spatula flip the granola over, but don't mix it. 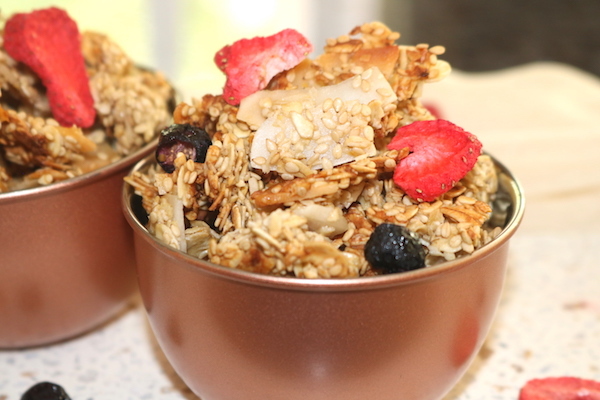 You will want the granola to stay in clumps, and not little pieces. Bake for another 5-6 minutes, or until a golden color. Remove from oven, and let rest so it will cool and harden. Then transfer to small bowl for snacking, or an air tight container. If the coconut oil is hard, melt it first and it will be easier to work with. If the kids want to mix with their hands, then the coconut oil will most likely melt from the heat off their hands. Also, with the honey this could get sticky. The kids love to mix it up with their hands, so have fun!